We could hear his gurgling call off in the distance as we approach on our XC skis. 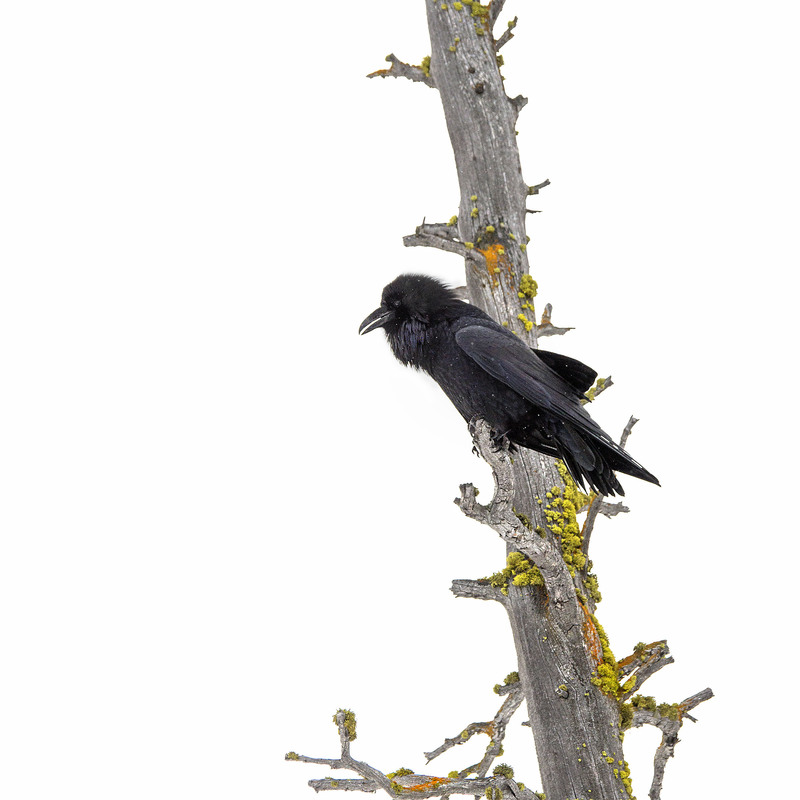 Perched high above on a dead tree covered in colorful lichen both his vocalizations as well as the colorful branch provided just the right amount of warmth to take the chill of a blustery winter ski. I love ravens and he has chosen a handsome perch! It is a very nice perch with those brightly colored patches of lichen. Felt like being in a nice painting that day as well.